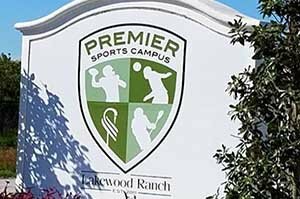 SARASOTA, FLORIDA, September 25, 2018 – Plans have been firmed up for the development of new county facilities in East Manatee, with the county commissioners’ approval this September of the $4.6 million purchase of 75 acres north of the Lakewood Ranch Premier Sports Campus. In December last year, the county bought the 127-acre sports campus for $5.3 million and announced its plans to grow this complex along with the adjoining property to the north now approved for purchase. This initiative, a county official said, will provide an east‒west balance, given that Manatee’s population growth is now trending towards the east. Various park facilities, it was noted, are already available west at GT Bray Park that help boost market interest on many existing Bradenton homes for sale. The recent land purchase will be used to build out a planned Premier Park. It will consist of new sports fields, aquatic center, an event lawn, a racquet complex, a gymnasium, a stormwater facility, a new library, and county offices. This park’s county facility would minimize or eliminate trips of local residents to downtown Bradenton to handle county requirements. Several facilities are in place in the Premier Sports Campus including 23 grass sports fields, a 3,200-seat stadium, and several buildings. In 2017, some 82,000 people used the sports campus, and during the 2016-2017 season, it was estimated to have delivered an economic impact of $14.1 million. Near the sports campus, two new residential property developments with plans for a total of over 3,000 homes are in the pipeline. The rezoning for these new communities was approved by the Manatee County Planning Commission this September. These projects encompass large parcels between the corridors of Lorraine and Uihlein Roads running perpendicular north to south between State Roads 64 and 70. One of the proposed new communities in this area is The Woodlands at Lakewood Ranch, a project of national builder Lennar Corp. This new community on 545 acres is envisioned for 1,500 residences to be constructed in two phases. The Woodlands will consist of detached single family homes and multifamily residences. Three nearby roads—Uihlein Road, 44th Avenue East, and an extended Rangeland Parkway—will provide entry/exit to this community. Notably, Lennar has already established its presence in this area with its Lakewood National southeast of the Premier Sports Campus. The other project in the sports campus’s vicinity is a yet unnamed community of another national builder, Taylor Morrison. This new development is planned as a golf community within 991.8 acres, 25 percent would be preserved as open space. 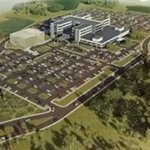 Its site is just off south of State Road 64 and is programmed for 1,750 residences. This new community’s access from the east would be through Uihlein Road and via 44th Avenue extension to the south. This planned community is also notably just east of Taylor Morrison’s Esplanade Golf & Country Club at Lakewood Ranch. This golf community is now on its third phase, with attractive sales listings priced starting from the $200s for two-bedroom residences with floor plans of about 1,600 square feet certain to receive a boost to from the new Premier Park planned nearby.